I have recently discovered infant/toddler shoes called preschoolians. There is quite a wide selection of boys’ and girls’ styles on their website, and they even have an option to design your own. 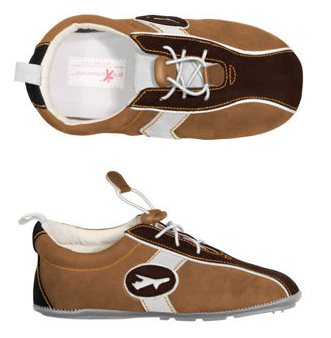 The shoes have soft, flexible soles and are light weight. The coolest part about these is the VisuFit clear window at the toes on the sole of the shoe. When the shoe insert is removed, you can literally see where your child’s toes reach in the shoe and decide if it’s time to get the next size. 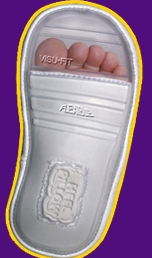 The shoes also come with inserts of variying widths so you can choose the one that best fits your child’s foot. To make sure you order the correct sized shoe, you can contact the company and they will send you a measuring device and instructions aboslutely free. I ordered a pair for my son (early walker) and I absolutely love them. At first I thought they were too big, but after reading the instructions on the website, the toes are supposed to only come to a certain line on the VisuFit window, and he does not trip when walking in them, so they are appropriately sized.